1. Students poisoned at Brisbane school after ingesting substance they thought was popping candy. 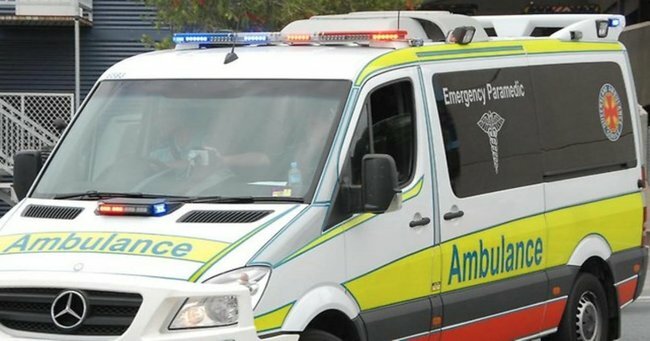 Twenty-five students at a school north of Brisbane have become violently ill after eating what they thought were lollies – but turned out to be Mystical Fire – a novelty substance that is thrown on camping fire to create multi-coloured flames, made from copper sulphate and copper chloride. News Limited reports that just after 2pm yesterday paramedics were called to Deception Bay State School, north of Brisbane after one of the students brought the crystals to school and convinced the others it was popping candy. A parent told The Courier-Mail their 10-year-old child was given the crystals that look like popping candy by another child that they did not know from another year. 2 patients taken stable to Redcliffe Hospital & 2 to Prince Charles after students ingested a substance at a Deception Bay school. Four children were hospitalised but are expected to make a full recovery. 2. Teenager charged over the death of a Queensland toddler allegedly refused to get him help because he wasn’t his child. The Courier Mail reports that Ryan Robert Barry Hodson, who lived with the toddler, is one of three people charged with the manslaughter of 21-month-old Mason Jet Lee, who died from severe injuries on June 11. Police said that Mason suffered widespread injuries including scarring and bruising to his legs, abdomen and head. The connective tissue between his scalp and skull had been torn when his hair was pulled. The court heard Hodson refused on multiple occasions to get the child medical help when asked allegedly telling one person “f*** your mouth up, it’s not our business, it’s not our problem”. He also allegedly said he Mason to see a doctor because he “wasn’t his child”. Hodson was denied bail in the Caboolture Magistrates Court. Mason’s mother, Anne-Marie Lee, who is charged with manslaughter was also denied bail. 3. Man lifts child over fence at zoo and puts him in rhino enclosure to get a better photo. A man, visiting a zoo, has lifted a boy over the fence into the rhino enclosure to get an unobscured photo. Twitter user Adrianna Straszewska first noticed the man at Dublin Zoo help the young boy climb the fence, he stayed there for more than 20 minutes. The Mirror reports the man forced the boy to move closer to the rhino. A spokesperson for Dublin Zoo said: “The matter is being taken care of internally by Dublin Zoo. 4. Volcanic ash cloud sees flights cancelled to and from Bali. Volcanic ash cloud is again affecting flights to and from Bali leaving many holidaymakers stranded on the island and others making their way to Bali diverted to Darwin. A Tigerair spokeswoman told Seven News a flight from Melbourne to Bali was diverted to Darwin after the Volcanic Ash Advisory Centre said that flying conditions into and out of Denpasar Airport were not safe. Virgin Australia spokeswoman said its morning flight from Brisbane was also forced to turn around to Darwin. Flights will resume as soon as it is safe. 5. Northern Territory royal commissioner quits. Following accusations of a conflict of interest over his daughter’s employment as an adviser to the former NT attorney-general, the man appointed only last week to head up the royal commission into the territory’s youth detention has quit. Former Northern Territory chief justice Brian Ross Martin said his decision to resign was solely his own. “My resignation does not imply any criticism of the government, prime minister or the attorney-general,”he said from Canberra. He will be replaced with Aboriginal and Torres Strait Islander Social Justice Commissioner at the Human Rights Commission, Mick Gooda who will jointly head the commission with former Queensland Supreme Court justice Margaret White. 6. Kevin Rudd compares Malcolm Turnbull to a “great brick wall in life”. Kevin Rudd has referred to Malcolm Turnbull as a “great brick wall in life” while speaking to a Young Labor meeting in Brisbane on Saturday. The Daily Telegraph reports Mr Rudd told the crowd he wanted to make a difference. Mr Turnbull has refuted claims he told Mr Rudd he supported his application as Australia&apos;s candidate for UN secretary-general. “Mr Rudd, at all relevant times, has known the decision was one for Cabinet.” he told the ABC. 7. Texas allows students to carry concealed weapons in classrooms. New laws that come into affect today in Texas in the US mean that students can carry concealed handguns into classrooms, public university buildings, university rooms and dorms. The laws begin on the same day the state commemorates the 50th anniversary of a mass shooting at the University of Texas at Austin, now regarded as the country&apos;s first mass shooting. Texas has more than 1 million concealed handgun license holders. Those who wish to carry handguns on campus must be at least 21 (18 if in the military) and pass both classroom and gun range training courses.